In the early 20th century, Einstein argued that scientists needed to take Maxwell's equations more seriously. If Maxwell's equations didn't refer to a standard of rest, then there was no need for a standard of rest. ... Everyone had access to Maxwell's mathematics, but it took the genius of Einstein to embrace the mathematics fully. And with that move, Einstein broke through to the special theory of relativity, overturning centuries of thought regarding space, time, matter, and energy. the electrodynamic foundation of Lorentz's theory of the electrodynamics of moving bodies is in agreement with the principle of relativity. But Lorentz and Poincare said that years earlier. As noted below, Einstein did not embrace or even understand the mathematics. He claimed later that he did not even believe in Maxwell's equations because he thought that light was composed of particles. Plunkett said he is keeping an open mind on whether Einstein's theories need an update, but he added: "It's dangerous to lay odds against Einstein. Einstein has been tested repeatedly over and over again." Going faster than light is something that is just not supposed to happen according to Einstein's 1905 special theory of relativity — the one made famous by the equation E equals mc2. The speed of light — 186,282 miles per second (299,792 kilometers per second) — has long been considered a cosmic speed limit. "We'd be thrilled if it's right because we love something that shakes the foundation of what we believe," said famed Columbia University physicist Brian Greene. "That's what we live for." This is very unlikely to be confirmed. Physicist Brian Cox says that this would be the most profound discovery of the last 100 years. We will raise this conjecture (the purport of which will hereafter be called the “Principle of Relativity”) to the status of a postulate, and also introduce another postulate, which is only apparently irreconcilable with the former, namely, that light is always propagated in empty space with a definite velocity c which is independent of the state of motion of the emitting body. He did not explicitly say that nothing could go faster than light. It could be inferred from the way that light is used to define time, or the way that mass increases with velocity. So going faster than light is like going backwards in time or exceeding infinite mass. But you could also infer that from previous results, as Poincare used light to define time in 1898 and 1900, and Lorentz showed that mass increases with velocity in 1899. Neutrinos were not even suspected until the 1930s, and thought to be massless until the 1990s. Poincare was also the first to apply these laws of relativity to all physics. Einstein just applied them to electromagnetism in 1905. There is already an xkcd comic about the neutrinos, and about how news stories about new physics sometimes "end up in pointless arguments about Galileo." Yes, those pointless arguments nearly always are triggered by someone claiming to support science by giving some completely bogus Galileo argument. While I think that it is very unlikely that neutrinos can go faster than light, it is not impossible. Neutrinos are very hard to detect, and this is a very slight effect. They were thought to travel at the speed of light until about 10 years ago, and now it is thought that they are slower. It is possible that the maximum speed of communication is actually somewhat faster than the speed of light, and light is slowed down by the aether just as it is slowed by glass. And maybe neutrinos are not slowed down by the aether. That would disrupt a lot of known physics, but I do not think that it would cause any time-travel paradoxes. There are actually a bunch of reasons for thinking that neutrinos might violate special relativity. There's only one way to describe the experiment performed by physicist Anton Zeilinger and his colleagues: it's unreal, dude. Measuring the quantum properties of pairs of light particles (photons) pumped out by a laser has convinced Zeilinger that "we have to give up the idea of realism to a far greater extent than most physicists believe today." By realism, he means the idea that objects have specific features and properties — that a ball is red, that a book contains the works of Shakespeare, or that an electron has a particular spin. No, there is no evidence at all against realism, with that definition. There is only a problem if you define realism as requiring that the properties of objects be unchanged by observation. For example, you can measure an electron's position, but it will not stay put. Allied to this assault on reality was the apparent prediction of what Albert Einstein, one of the chief architects of quantum theory, called 'spooky action at a distance'. Quantum theory suggests that disturbing one particle can instantaneously determine the properties of a particle with which it is 'entangled', no matter how far away it is. This would violate the usual rule of locality: that local behaviour is governed by local events. Einstein could not believe that the world was really so indeterminate. He supposed that a deeper level of reality had yet to be uncovered — so-called 'hidden variables' that specified an object's properties precisely and in strictly local terms. No, Einstein was not one of the chief architects of quantum theory. He did not believe in it, or even understand it, if he thought that local hidden variable theories were intuitive and plausible alternatives to quantum mechanics. No one has ever been able to make any sense out of those theories. Nowadays, realism is often mean to imply something like the De Broglie–Bohm theory or Many-worlds interpretation of quantum mechanics. But these theories have bizarre and incomprehensible features that do not seem realistic to me. Much of Farmelo’s account contains tiresome family drama involving Dirac’s despotic father and suffocating mother. The excessive detail seems to have been included to bolster the hypothesis that Dirac was doomed to strangeness by nurture rather than by nature. There is even a prologue that has no other purpose than to establish this behavioral theory. It is only after 420 pages that Farmelo comes clean: he does not subscribe to the rationale he previously seemed to have been documenting so thoroughly—it was nature, not nurture, after all. “Dirac was born to be a child of few words and was pitiably unable to empathise with others,” he announces. Dirac, Farmelo finally reveals, had autism. ... After reading Farmelo’s biography, you will likely find Dirac’s personality amiable and his character admirable. Chances are, you will not need to know whether Dirac was neurotypical. The strangest man might not even redline your strangeness meter. I agree with this review. Dirac does not redline my meter, The pop psychology is offensive. Dirac's biggest problem was that he acquired Einstein's disease, and rejected modern physics in favor of his own theorizing about how the world ought to be. They both wasted their later careers on misguided efforts. Darwinists say that Natural selection is the most powerful idea ever discovered. I am trying to understand why they say this, even tho the idea is very nearly a tautology with no direct scientific consequences. So I looked for analogies in other sciences. The closest I found in physics was Maxwell–Boltzmann statistics, but that has direct quantitative consequences and is not politicized. The best analogy is the Invisible hand in economics. Here are the similarities between the invisible hand and natural selection. who wrote a great book that became the bible of the field. Tautology. Both are true by definition, and not subject to empirical test. a metaphor to guide further investigations. system equilibrium, without the pieces understanding events in the large. but do it by pretending that there is some imaginary being applying the force. The word "select" normally means the voluntary choice of a conscious being. Likewise with "hand". Just for comparison, here are some powerful ideas from the 20th century, mostly in mathematics. Lorentz’s first explanation of Michelson’s result was clearly ad hoc and not even based on his electrodynamic theory. During the following decade he greatly developed the theory, and in 1899 the Dutch theorist was able to derive the length contraction from the more general transformation formulas between the coordinates of a body moving through the ether and those of one at rest with regard to the ether. Lorentz wrote these transformations in a more complete form in 1904, the same form that we know today. He was not, however, the first to put the full "Lorentz transformations" in print. As a purely mathematical transformation, they can be found in a work on the Doppler effect published by Woldemar Voigt as early as 1887. More to the point, in 1900 Larmor derived the equations from his own version of electron theory. By means of the Lorentz Larmor transformations, the null result of the Michelson Morley experiment could be explained easily. Indeed, it followed from Lorentz’s theory that there could be no detectable effects of uniform motion through the ether, not just to the second order in v/c, but also to all orders. That's right, Lorentz interpreted Michelson-Morley as showing that the speed of light is constant for all observers, and deduced his transformations from that. He later integrated electromagnetism into his relativity theory, and showed that the relativity principle held to all orders. By 1904, he had a relativity theory that could explain all of the known experiments. Others had similar formulas. No sketch of the prehistory of relativity, however brief, can avoid mentioning Henri Poincaré alongside Lorentz. Based on his conventionalist conception of science, around 1900 the French mathematician questioned whether the simultaneity of two events could be given any objective meaning. As early as 1898 he wrote, “Light has a constant speed.... This postulate can¬not be verified by experience, ... it furnishes a new rule for the definition of simultaneity” (Cao 1997, 64). Two years later, at the Paris world congress of physics, Poincaré discussed whether the ether really existed. Although he did not answer the question negatively, he was of the opinion that the ether was at most an abstract frame of reference that could not be given physical properties. In his Science and Hypothesis of 1902, Poincaré declared the question of the ether to be metaphysical, just a convenient hypothesis that some day would be discarded as useless. In his address to the St. Louis congress in 1904, he examined critically the idea of absolute motion, argued that Lorentz’s local time (t') was no more unreal than his general time (t), and formulated what he called the relativity principle, namely, the impossibility of detecting absolute, uniform motion. His formulation of 1904 is worth quoting: “According to the Principle of Relativity the laws of physical phenomena must be the same for a ‘fixed’ observer as for an observer who has a uniform motion of translation relative to him ... there must arise an entirely new kind of dynamics, which will be characterized above all by the rule, that no velocity can exceed the velocity of light” (Sopka and Moyer 1986, 293). Up to this point, Poincaré’s intervention in the discussion had been mainly programmatic and semiphilosophical. In the summer of 1905, without knowing about Einstein’s forthcoming paper, he developed an electrodynamic theory that in some respects went beyond Lorentz’s. For example, he proved the relativistic law of addition of velocities, which Lorentz had not done, and also gave the correct transformation formula for the charge density. Apart from restating the principle of relativity as “a general law of nature,” Poincaré modified Lorentz’s analysis and proved that the Lorentz transformations form a group with the important property that x2 + y2 + x2 - c2 t2 is invariant, that is, remains the same in any frame of reference. He even noticed that the invariant could be written in the symmetric way x2 + y2 + z2 + T2 if the imaginary time coordinate T = ict was introduced. Poincaré’s theory was an important improvement, a relativity theory indeed, but not the theory of relativity. Strangely, the French mathematician did not follow up on his important insights, nor did he show any interest in Einstein’s simultaneously developed theory of relativity. Yes, this is correct up to the point were he says that Poincare's relativity theory was not the theory of relativity. It is Poincare's theory that was accepted by physicists, not Einstein's. When twenty six year old Albert Einstein constructed the special theory of relativity in June 1905, he was unknown to the physics community. The paper he submitted to the Annalen der Physik was remarkable in several ways, quite apart from its later status as a work that revolutionized physics. For example, it did not include a single reference and thus obscured the sources of the theory, a question that has been scrutinized by later historians of science. Einstein was not well acquainted with the literature and came to his theory wholly independently. He knew about some of Poincaré’s nontechnical works and Lorentz’s work of 1895, but not about Lorentz’s (or Larmor’s) derivation of the transformation equations. Another puzzling fact about Einstein’s paper is that it did not mention the Michelson Morley experiment or, for that matter, other optical experiments that failed to detect an ether wind and that were routinely discussed in the literature concerning the electrodynamics of moving bodies. There is, however, convincing evidence not only that Einstein was aware of the Michelson Morley experiment at the time he wrote his paper, but also that the experiment was of no particular importance to him. He did not develop his theory in order to account for an experimental puzzle, but worked from much more general considerations of simplicity and symmetry. These were primarily related to his deep interest in Maxwell’s theory and his belief that there could be no difference in principle between the laws of mechanics and those governing electromagnetic phenomena. In Einstein’s route to relativity, thought experiments were more important than real experiments. Yes, Einstein did not cite his sources or explain how his theory was any better than Lorentz's. Lorentz was one of the most famous theoretical physicists in Europe, and some say that it is very likely that Einstein had access to Lorentz's papers and lied about it. Even if Einstein did not have all the papers in 1905, he certainly did later, and there can be no excuse for his failure to acknowledge previous work throughout his life. Einstein was able to ignore the experimental evidence because he was just giving an exposition of Lorentz's theory. He trusted Lorentz to have interpreted the experiments correctly. No one thought that Einstein's paper was revolutionary because it was seen as the same as Lorentz's theory. Most unusually at the time, the first and crucial part of Einstein’s paper was kinematic, not dynamic. No, that was not unusual. That is the same thing that Lorentz did 13 years earlier, as explained above. The first part was based on the speed of light being constant for all observers, and the second part reconciles the transformations with the equations for electrodynamics. Contrary to those of Lorentz and Poincaré, Einstein’s formulas related to real, physically measurable space and time coordinates. One system was as real as the other. Other historians say this, but it is nonsense. Lorentz and Poincare were directly and explicitly concerned with explaining the Michelson-Morley and other experiments. Those explanations do not make any sense unless they concern real physical measurements. Of course Lorentz's and Poincare's formulas used real space and time coordinates. Those who credit Einstein need to say that he was original and that he revolutionized physics with pure thought. They have the problem that others had all the formulas years beforehand. So they have to somehow discount the meaning of those formulas, and deny that Einstein relied on experiments. The result is a story that does not make any sense. Einstein’s theory was taken up and discussed fairly quickly, especially in Germany. Its true nature was not recognized immediately, however, and it was often assumed to be an improved version of Lorentz’s electron theory. The name “Lorentz Einstein theory” was commonly used and can be found in the literature as late as the 1920s. The most important of the early relativity advocates was Max Planck, ... Another important advocate was the Göttingen mathematician Hermann Minkowski who, in a 1907 lecture, presented relativity theory in a four dimensional geometrical framework with a strong metaphysical appeal. 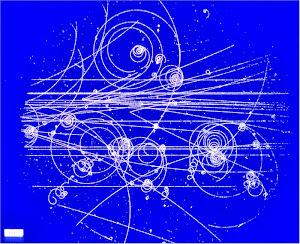 Minkowski introduced the notion of a particle’s world-line and explained enthusiastically how radical a break with the past the theory of relativity was: “Henceforth space by itself, and time by itself, are doomed to fade away into mere shadows, and only a kind of union of the two will preserve an independent reality” (Galison 1979, 97). However, Minkowski considered Einstein’s theory to be a completion of Lorentz’s and interpreted it, wrongly, to be within the framework of the electromagnetic worldview. Yes, Minkowski and everyone else considered Einstein's theory to be an improved version of Lorentz’s electron theory. They were correct. That four dimensional geometrical framework for relativity was what made the theory take off. Minkowski's paper was very widely circulated in 1908, and it was based on the work of Lorentz and Poincare. Einstein's paper was irrelevant to Minkowski and nearly everyone else. It only influenced Planck, as far as I can tell. As you can see on this chart from Kragh's book, relativity papers took off in 1908, not 1905. The picture of Einstein as an all knowing and somewhat arrogant rationalist who did not care about experiments is undoubtedly widespread and part of the Einstein myth. But it is basically wrong, at least as far as the younger Einstein is concerned. Kragh has helped promote this myth by denying that relativity theory is the result of experiments. Einstein’s theory of relativity shared with Darwin’s evolutionary biology, Röntgen’s invisible rays, and Freud’s psychoanalysis the fact that it was met with an enormous interest outside as well as within the scientific community. It became one of the symbols of the modernism of the interwar period and, as such its importance extended far beyond physics. Einstein’s theory was labeled “revolutionary,” a term commonly associated with the passage from Newtonian to Einsteinian physics. The theory of relativity was indeed a kind of conceptual revolution and in the early 1920s the revolution metaphor, freely associating to political revolutions, became a trademark of Einstein’s theory. It was a trademark that Einstein did not want to sanction. Einstein did not consider himself a revolutionary; in papers and addresses, he repeatedly stressed the evolutionary nature of the development of science. The theory of relativity, he often said, was the natural outcome of the foundations of physics laid by Newton and Maxwell. Thus, in a 1921 paper, Einstein noted, “There is someting [sic] attractive in presenting the evolution of a sequence of ideas in as brief a form as possible, and yet with a completeness sufficient to preserve throughout the continuity of development. We shall endeavour to do this for the theory of relativity and to show that the whole ascent is composed of small, almost self evident steps of thought” (Hentschel 1990, 107). No, Einstein lied about his sources throughout his life, and always describe his relativity work as a revolutionary flash of genius that has no need for the work of Lorentz and Poincare. The works of Kuhn and Feyerabend formed the background of other historical, philosophical, and sociological studies of science, the latest fashion being known as the program of sociology of scientific knowledge or social constructivism. Contructivist [sic] sociologists of the 1980s and 1990s denied that the scientific world view is grounded in nature and should therefore be given higher priority than any other worldview. Science, they said, is basically a social and cultural construction fabricated by negotiations, political decisions, rhetorical tricks, and social power. Since truth and falsehood are always relative to a given local framework, scientists’ beliefs about nature are not inherently superior to those of any other group. The great changes that have occurred in twentieth century physics have built on existing knowledge and a healthy respect for traditions. There have been several attempts to base physics on an entirely new worldview (such as those proposed by Eddington and Milne in the 1930s), but they have all failed. It may seem strange that respect for traditions can produce revolutionary changes, but this is just what Thomas Kuhn described in 1962 under the label “normal science.” On the other hand, the changes that sometimes follow paradigm ruled or “normal” science are not revolutions in the strong sense that Kuhn suggested in 1962, namely, new paradigms incompatible with and totally different from the old ones. No such revolution has occurred in twentieth century physics. After all, a theoretical physicist of the 1990s will have no trouble in understanding the spirit and details of Planck's work of 1900 in which the quantum discontinuity was introduced, nor will a modern experimentalist fail to appreciate J. J. Thomson's classical paper of 1897 in which the electron was announced. There is no insurmountable gap of communication, no deep incommensurability, between the physics of the 1990s and that of a century earlier. I agree with this. Kuhn's ideas are widely accepted, but wrong. My quarrel with Kragh is that he seems to concede that Kuhn's thesis was correct insofar as Einstein's relativity was revolutionary break from previous theories. If Einstein's 1905 paper were really so original, so radical, so independent of experiment, and so influential, then there might be some merit to Kuhn's view of revolutionary science. But all of that is completely wrong, as you can see by parsing Kragh's own facts. I think that there is an Einstein reality distortion field. People idolize him even when it goes against their own facts and theories. All of this is explained in my book, altho I did not know of Kragh's work when I wrote it. Kragh confirms everything I say, and I would have mentioned him if I had known about him. Likewise, the mid-twentieth century “Bohr-Einstein debate” about quantum theory is often misinterpreted as a personal clash between wizards. So counter-intuitive are quantum theory’s predictions that, under the leadership of one of its pioneers, Neils Bohr, a myth grew that there is no underlying reality that explains them. Particles get from A to B without passing through the intervening space, where they have insufficient energy to exist; they briefly “borrow” the energy, because we are “uncertain” about what their energy is. Information gets from A to B without anything passing in between – what Einstein called “spooky action at a distance.” And so on. Fortunately, a minority of physicists, myself included, likewise side unequivocally with realism, by adopting Hugh Everett’s multiple-universes interpretation of quantum theory. According to this view, no particles exist where they have insufficient energy to be; it is simply that in some universes they have more energy than average, and in others, less. All alleged “paradoxes” of quantum theory are similarly resolved. Einstein denied that he was a realist. His most widely praised work, his famous 1905 special relativity paper, is credited primarily for its anti-realist approach. He later abandoned that anti-realism, as partial explained in my book, How Einstein Ruined Physics. The term realism means that ordinary things exist and have an objective meaning. In science, it often means that atoms are real, even tho they are only measurable with special instruments. I am not sure that it is a useful term, if means that there are alternate universes that are not measurable by our universe in any way. Bohr was really a positivist, and not a reality denier, in the Bohr–Einstein debates. There are textbooks today that say that quantum mechanics is contrary to local realism, and hence is somewhat spooky. Depending on whom you read, realism is supposed to be opposite to positivism, and also to idealism. Yet both of those seem more realist to me than Deutsch's multiple universes. 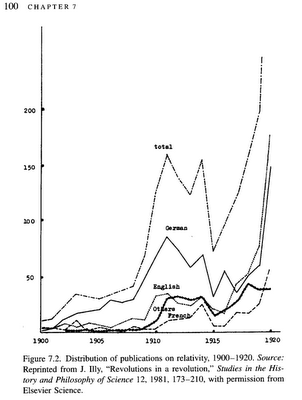 Here is the best argument for Deutsch's many worlds. 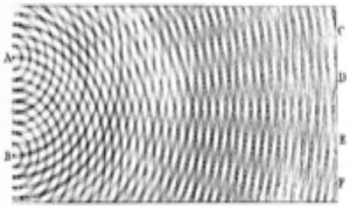 In Young's double-slit experiment, light goes thru two slits and forms a diffraction pattern, just as you would expect from light being a wave. But if you assume that light consists of particles called photons, then the diffraction is explained by each photon going thru both slits at once. If you also assume time symmetry, then it seems reasonable to say that if a photon can be two places at once in the past, then it can also be two places at once in the future. But we never observe a photon being in two places at once, as that would violate energy conservation. So we say that the alternate places for those photons in the future exist in alternate universes that we cannot see. Deutsch also says that a quantum computer would prove the existence of the many worlds, because the parallel worlds would be the answer to the question about where the mysterious parallel computation is taking place. No one has ever made a quantum computer, and no one knows whether it is possible. Does any of this convince you of many worlds? Not me. It only convinces me to stop calling myself a realist. The experiment helped to change John-Dylan Haynes's outlook on life. In 2007, Haynes, a neuroscientist at the Bernstein Center for Computational Neuroscience in Berlin, put people into a brain scanner in which a display screen flashed a succession of random letters1. He told them to press a button with either their right or left index fingers whenever they felt the urge, and to remember the letter that was showing on the screen when they made the decision. The experiment used functional magnetic resonance imaging (fMRI) to reveal brain activity in real time as the volunteers chose to use their right or left hands. The results were quite a surprise. "The first thought we had was 'we have to check if this is real'," says Haynes. "We came up with more sanity checks than I've ever seen in any other study before." As humans, we like to think that our decisions are under our conscious control — that we have free will. Philosophers have debated that concept for centuries, and now Haynes and other experimental neuroscientists are raising a new challenge. They argue that consciousness of a decision may be a mere biochemical afterthought, with no influence whatsoever on a person's actions. According to this logic, they say, free will is an illusion. "We feel we choose, but we don't," says Patrick Haggard, a neuroscientist at University College London. (Free registration required for the whole article.) Using brain scans, they can predict choices a couple of seconds in advance 60% of the time, whereas random guessing would predict 50%. The new atheists have declared that nature is deterministic, that these experiments prove that we have no free will, and that religion falsely makes us morally responsible for our actions. I think that it is baffling why anyone would think that the above experiment has anything to do with free will. The article gives some explanation, but also cites philosophers who say that the atheist neuroscientists are wrong. It seems obvious to me that it is very difficult to make a decision faster than about ten seconds. Athletes, cops, traders, and others seem to make faster decisions, but only after extensive training that allows them to decide in advance about a wide range of scenarios. Given an unfamiliar situation, and they cannot make a quick decision. There is no evidence against free will. These experiments only show that our detection equipment is much quicker than our decision making ability.